Our survivalist guide will get you through the first night. 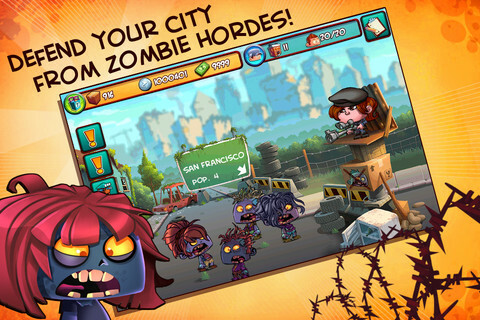 Earlier this week we reviewed Booyah's No Zombies Allowed. If you're struggling to get your fledgling survivalist camp off the ground, we've put together some quick pointers for you. Keep an intelligent balance between businesses and housing to make sure you have enough of the right people managing your stores. Use the game's Bucks currency to move new residents in quickly and then put them to work. It's important to match the new residents you allow in with the most suitable businesses as you'll receive a performance bonus for doing so. Click 'Hire' on any business and the top left of the screen will detail the best match. Find a resident with the same personality trait and put them to work in the most efficient way possible. Always keep an eye on the outskirts of your town. 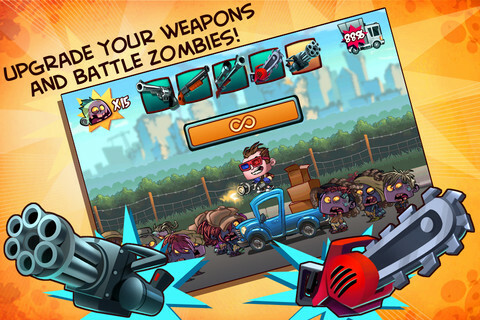 Popping the zombies that appear from time to time will reward you with coins for expansion, as well as essential supplies. 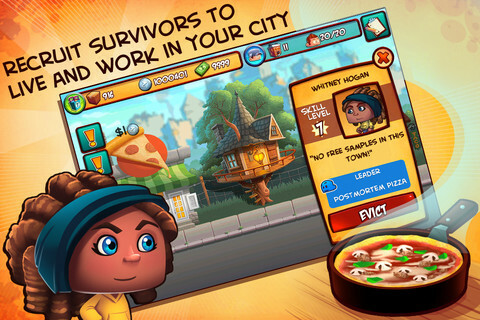 You'll also get the chance to rescue additional survivors who may be a better match for your businesses. Make sure you turn on the real geographical location feature as you'll occasionally get the chance to loot from real buildings in your local area! Alright, we felt bad about stealing from the charity shop down the road, but this is about survival dammit! When looting supplies you'll sometimes need to defend your truck so keep a close eye on progress and don't forget to swipe to reload.